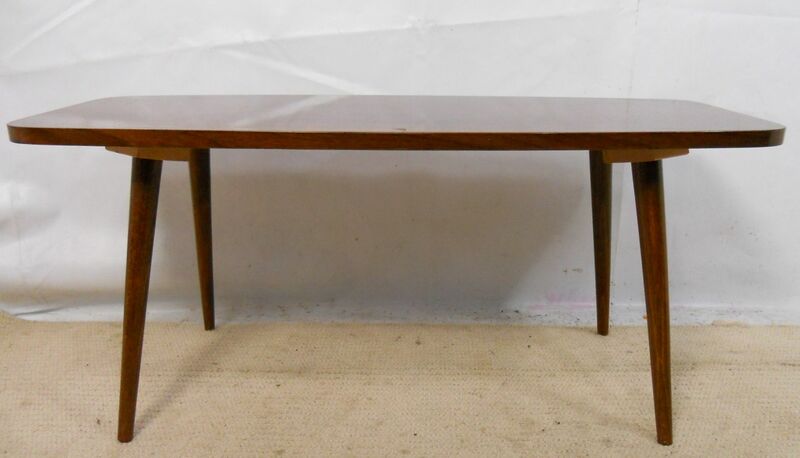 1970's long walnut finished coffee table raised on four slender legs. This stylish retro coffee table is in sturdy condition. A neat, useful long coffee table.